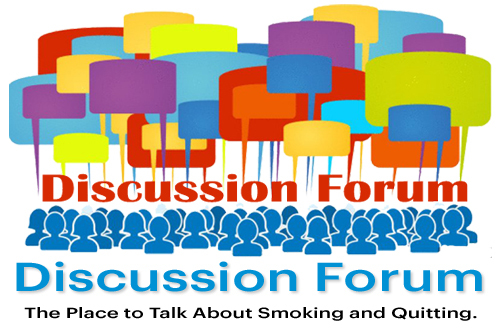 This is where you will be able to come together and discuss anything you’d like regarding smoking, treatments, quitting smoking, disease, nutritional advice and so on. Please check back. The forum should be up and running soon. Customer Discussions on I’m a Non-Smoker.com connect you with other customers to share your questions, insights, and views about products available on I’m a Non-Smoker.com. Read what others are saying about products, get knowledgeable answers, check out product comparisons, and swap comments in our easy-to-use group discussions. You can also let us know what you think of the Customer Discussions feature by contacting I’m a Non-Smoker.com’s Customer Discussions team directly. (This is for comments to the Discussions team only. Customers! Anyone who has purchased items from I’m a Non-Smoker.com and is in good standing in the I’m a Non-Smoker.com community can reply to an existing discussion or start a new one. All visitors to I’m a Non-Smoker.com can read any current discussion. Click “Reply” at the end of a message to post a response. Your reply is placed at the end of the discussion. Anyone reading your post will also be able to click “In reply to an earlier post” to display the message to which you responded. In the discussion forum, start a new discussion below the list of recently-active discussion titles. Once you click in the discussion topic text box, you’ll also see a box to enter the initial post. If you find a post that you feel is obscene, threatening, pornographic, another person’s words, or otherwise violates I’m a Non-Smoker.com’s guidelines outlined here or in the Conditions of Use, please click “Report abuse” and submit the report. How do I get back to a specific post? Each post has a “permalink” link, a direct pointer to an individual post in a discussion. You can click this link and add it to your favorite bookmarks, or copy it from your browser’s address bar and send it in e-mail. How can I keep track of new posts in an interesting discussion? In most Amazon discussions, you can request email updates when new posts are made. Click the “Track this discussion” button in the right column of the discussion page. We regularly investigate messages that have been reported to I’m a Non-Smoker.com as violating our guidelines. If you feel your message was removed inappropriately, contact us.